So, as most of you know, I’ve possibly made another crazy decision this year. 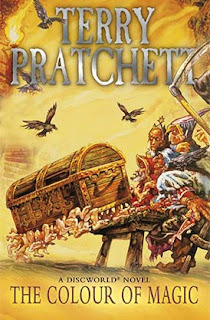 I’m going to attempt to read every single book Terry Pratchett wrote in his lifetime. I was kindly given four Pratchetts by Sheffield BF’s son for my birthday. I’ve started with the Disc World series after buying the first two books for my Kindle using another birthday gift – an Amazon voucher. 11 Months ago Ruskin Readers, along with several other community groups, were ousted from Carnegie Library by Lambeth Council. The council had made little effort to engage with the groups to ensure they would be safely housed and accommodated elsewhere. It was left to the community group leaders to find new premises and endure the agony of how they would do that with limited funding or none at all. As a Ruskin Readers tutor I found myself in the midst of the anxiety faced by our Lead Tutor (Caroline Knapp). I was angry and astounded at Lambeth for their lack of thought regarding this matter. And you know from my Private Protest post in January how I went about dealing with my anger. But the fact still remained that Ruskin Readers was effectively homeless. I had to read A Monster Calls in a bit of a hurry as one of my students is studying it at school and only let me know last week. Luckily I had a bit of training in speedy reading last year when I foolishly took on my 100 book Goodreads challenge. 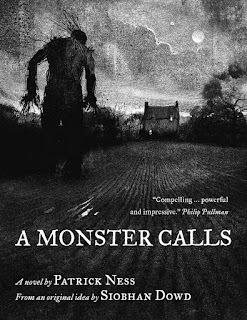 For me, the most effective element of A Monster Calls is that the monster is introduced as soon as the story opens. This leaves the reader in no doubt about the fact that something is seriously amiss with our protagonist Conor. I would have liked to see more interaction between Conor and his mother, especially at the start of the book but perhaps Ness tackles it in this way to indicate that she is slipping out of this world.